Both functional age and surgical ability, rather than chronologic age, should be used to determine the competency of an aging surgeon. Both functional age and surgical ability, rather than chronologic age, should be used to determine the competency of an aging surgeon, according to a viewpoint article published in JAMA. Mark R. Katlic, MD, of the Sinai Center for Geriatric Surgery at Sinai Hospital in Baltimore, Maryland, and colleagues discussed the competency of older surgeons, the issue of evaluating older surgeons’ physical and cognitive functioning, and whether or not there should be a mandatory retirement age for surgeons. Dr Katlic and colleagues noted that the surgical workforce is aging, with 44.1% of 103,032 active surgeons in the United States currently age 55 years or older. This percentage varies, however, according to specialty, and is as high as 58.1% for thoracic surgeons. Although older surgeons bring increased experience to the profession, they are vulnerable to the same decline in physical and cognitive function that occurs in all aging individuals. Vision and hearing decline with age, and visual-spatial ability, inductive reasoning, and verbal memory decrease as well. Some have suggested establishing a mandatory retirement age for surgeons, but functional decline varies greatly from one individual to the next. To enforce a mandatory retirement age would not only be illegal, it would result in the loss of considerable clinical expertise and judgment, as well as a depletion of the surgical ranks. One study found that being operated on by an older surgeon did not adversely affect patient outcomes, and that patients operated on by older surgeons (60 years or older) had a lower mortality rate than those whose surgeon was younger. In The Zone: Why Don't Surgeons Experience Flow? The authors noted that this finding may be the result of experience and judgment compensating for some decrement in physical and cognitive function. Nonetheless, some surgeons continue to perform after they should retire. Dr Katlic and colleagues suggested that a surgeon’s competency should be assessed based on functional age and abilities rather than on chronologic age. When an older surgeon’s competency is questioned, there should be an objective evaluation of functional age using comprehensive cognitive, physical, and technical assessments. 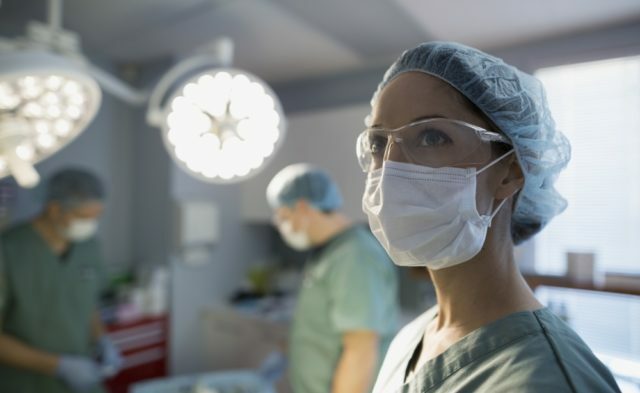 The authors emphasized the need for striking an appropriate balance between ensuring patient safety and maintaining an effective surgical workforce. Katlic MR, Coleman J, Russell MM. Assessing the performance of aging surgeons. JAMA. 2019;321(5):449-450. In The Zone: Why Don’t Surgeons Experience Flow?